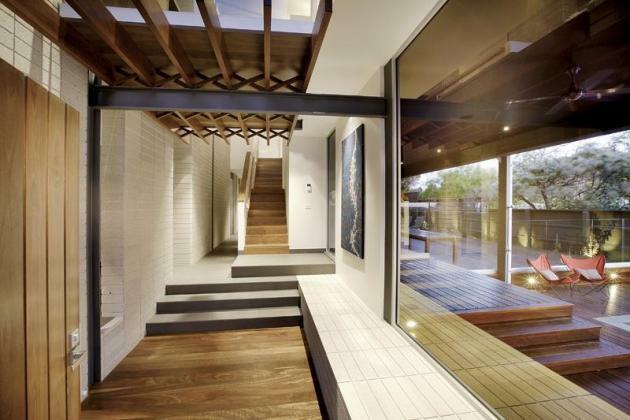 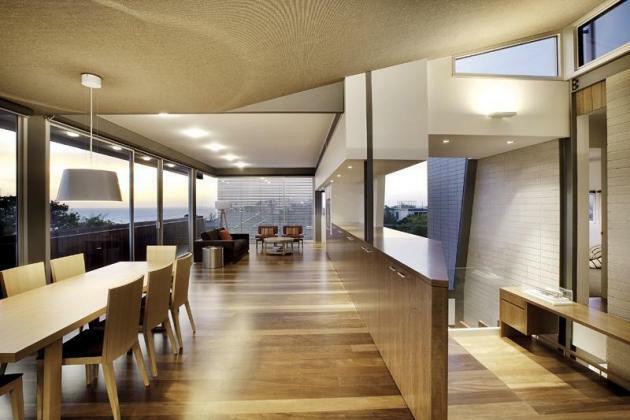 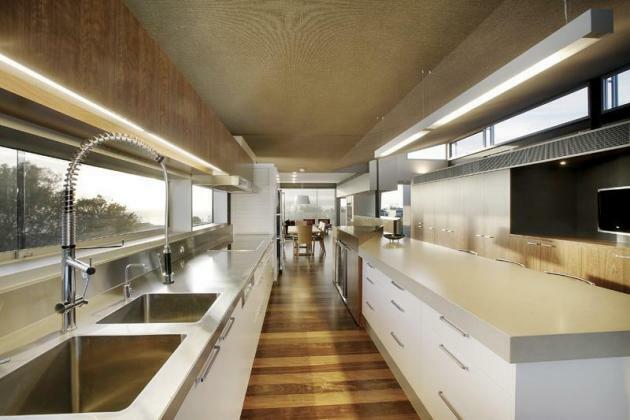 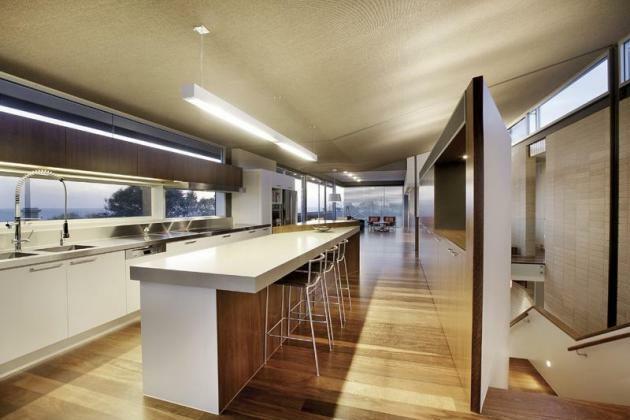 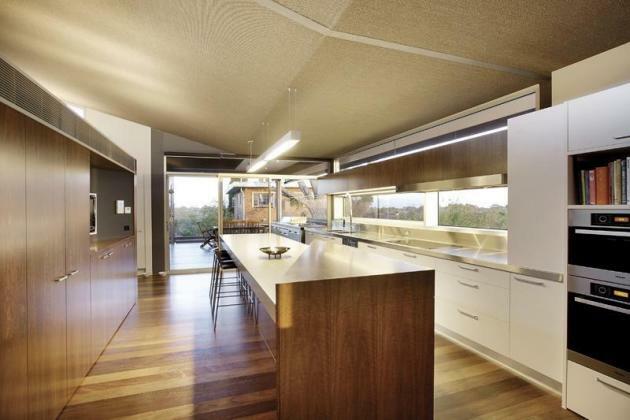 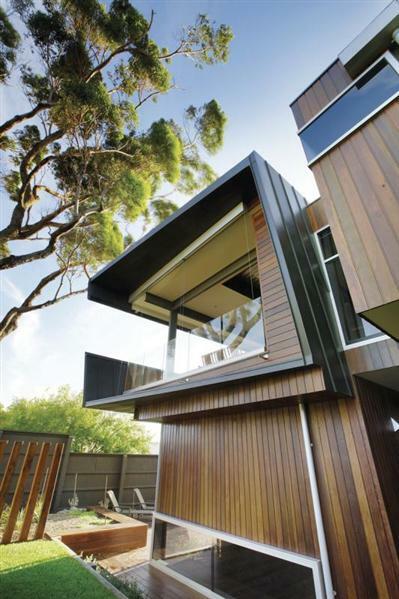 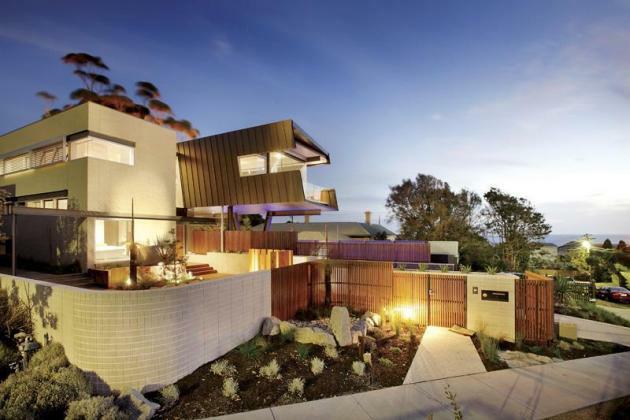 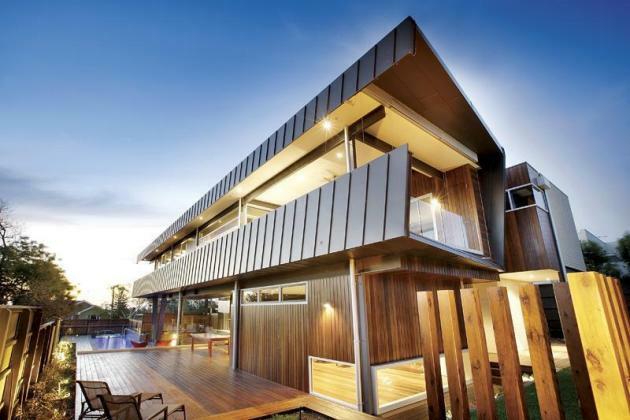 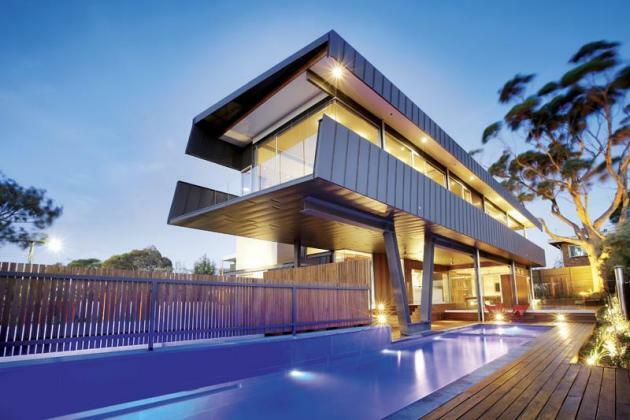 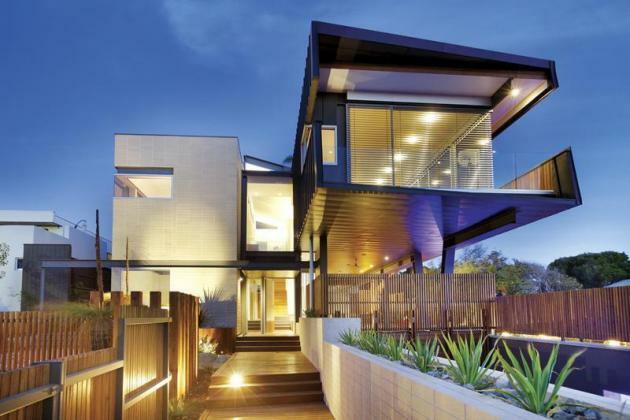 Maddison Architects designed this house in the Beaumaris suburb of Melbourne, Australia. 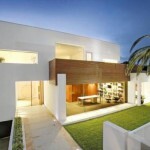 Formally, the house is split into two rectangular boxes. 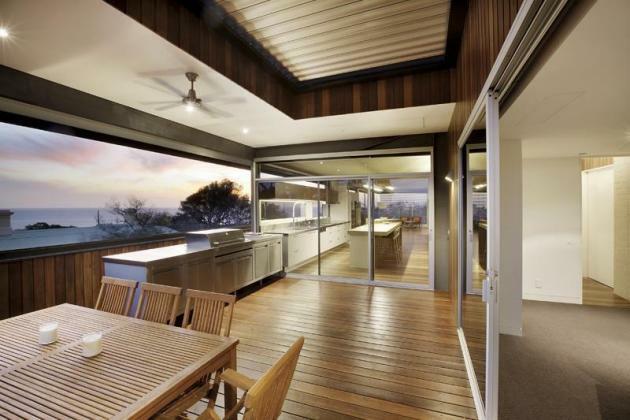 The black, zinc-clad southern box encloses living, kitchen and outdoor spaces, and cantilevers out beyond its ground floor enclosure to capture 270° Port Phillip Bay views. 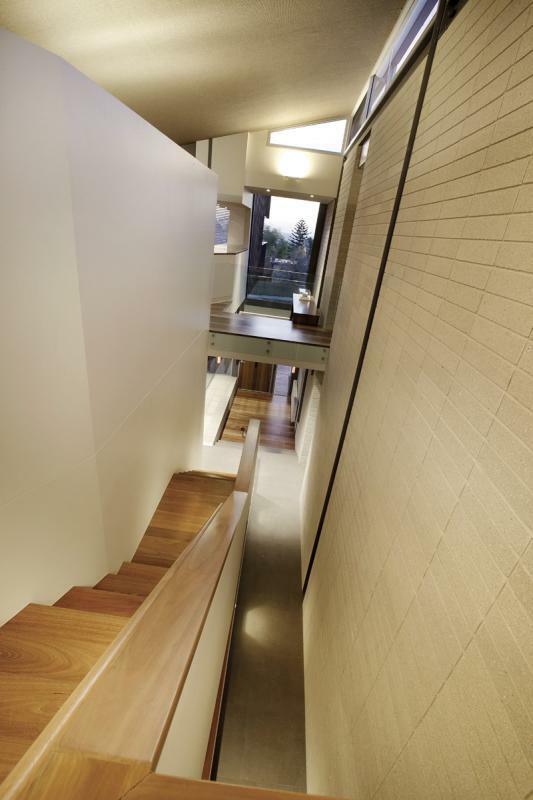 The discrete activities of the house, such as sleeping and bathing, are accommodated with the separate masonry northern wing. 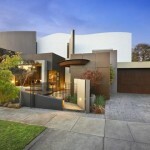 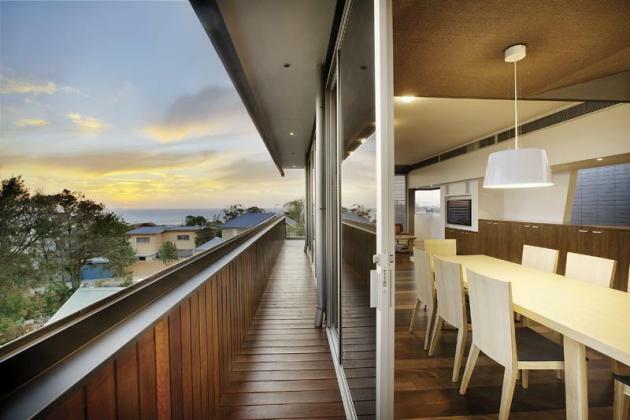 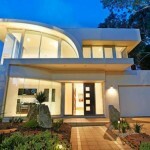 Visit the website of Maddison Architects – here. 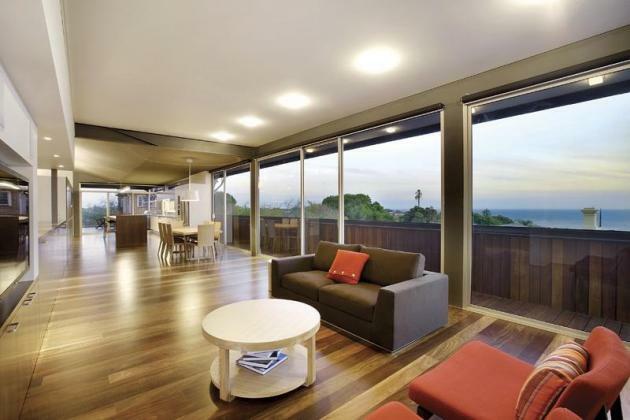 The 5 bedroom, 4 bathroom home is currently for sale through the Kay & Burton agency – here.